Welcome to the Hamish Ott universe! 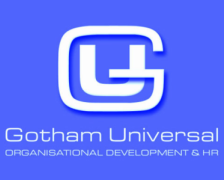 I am the Managing Director of Gotham Universal Limited (established 1998). The company is based in Christchurch, New Zealand where I have worked in organisation development and HR consulting for more than 20 years undertaking projects for national and local clients in the private, public and not for profit business sectors. I have a BSc Hons Degree from the University of Otago and have developed 'my trade' working for international firms, KPMG, Deloitte and Drake International. Now is a very exciting time to be working in organisation development assisting organisations with their strategies, structures and people. It is invigorating to work with client organisations as they invest in people, and enhance performance management and encourage innovation. My role as a contractor/project manager for clients is primarily about helping to plan, communicate, and support the implementation of change and development initiatives. My approach to offering organisation development and HR services is founded on strong core values. My values are based on creativity, openness, getting things done, enjoying success, and meeting and overcoming challenges. I often tell my clients there are 168 hours in each week; that most people don’t realize the wide range of work and life choices they have, and how fulfilling life can be overall. Another important thing I have learned is that we live in our time on a continuum, so history, now and the future are all important. The old saying that the only constant is change could not be more true. Where there is change there is opportunity, and should I have the pleasure of working with you we will make the most of your opportunities. In recent years it has been interesting to watch how LinkedIn has developed as a business market place and the opportunities networks create. I strongly value my relationships and contact with my LinkedIn 'business friends' and the opportunities we have to work together collaboratively on projects. My experience has shown that the strengths of the collaborative model are that it is skills based, client centered, agile, and cost effective.